IDS Group is pleased to announce that it will be the Gold Sponsor at ILCAD 2018 taking place in Zagreb, Croatia on 7th June. 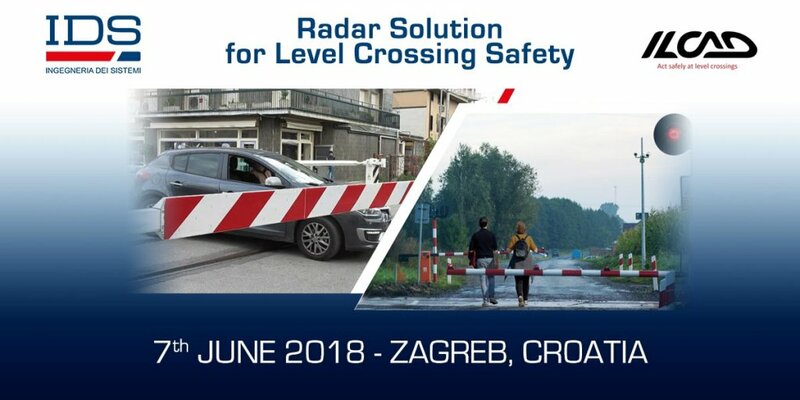 We will present our innovative solution for Level Crossings Safety consisting of radar based safety systems, for detection and reporting of all objects, moving or stationary. We hope to meet Level Crossing safety experts from around the world to discuss how our technology can help increase safety at Level Crossings. ILCAD is the annual industry event run by the International Union of Railways – UIC, specifically focused on increasing safety at Level Crossings.